Guns N’ Roses have added a second show at London Stadium in the UK capital to the 2017 European leg of the Not In This Lifetime tour. 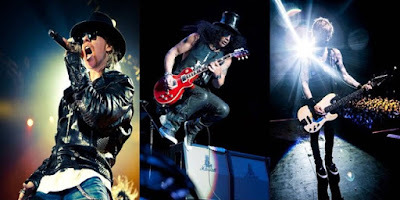 The June 17 stop – due to “phenomenal demand” according the band – follows an appearance at the same venue a day earlier as the trio of Axl Rose, Slash and Duff McKagan extend their reunion tour into a second year. Tickets for the UK dates are on sale now. Guns N’ Roses will launch a series of 20 European shows in Dublin, Ireland on May 27. The group recently completed their 2016 live schedule with appearances across South America, and will resume the worldwide tour in early 2017 with shows in Japan, New Zealand and Australia.